to their sponsorship pages and make a contribution online. Local woman on another challenge! Local woman Isobel Mackay from Halkirk is facing another climbing challenge! Having completed the Inca Trail in 2007 and successfully raising money for Diabetes UK, she is now climbing Mount Snowdon on Saturday 19th June. Majestic Mount Snowdon dominates the glorious ancient landscape of North Wales. At 3,560ft (1,085m) it is a true mountain. 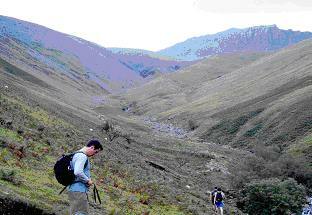 Her route to the Summit will be by The Llanberis Path up and down – 10 miles (14.5km) return. What’s needed to conquer Mount Snowdon is stamina, determination, commitment and a reasonable level of fitness. Isobel’s not sure if she has all that but the hard work will all be worthwhile she if she succeeds in raising £2,000 a local charity – Caithness Riding for the Disabled (RDA)– a fantastic charity for local children (based in Halkirk) which is run entirely by enthusiastic, dedicated volunteers. The volunteers look after 25-30 riders every week. They receive no funding for the excellent work they do – and rely solely on donations and hold regular fundraising events themselves. You can pay by credit or debit card, and the money will go directly to The RDA. Where supporters are UK taxpayers, the charity will automatically receive 28% extra in Gift Aid, which makes Justgiving the most efficient way of sponsoring Isobel. www.justgiving.com/heatherdonaldson that is totally secure to donate over, and so it would be great if people in Caithness had a way to donate if they remember my dad. I am running race for life in Inverness on Sunday 10th May. I feel really strongly about supporting this event not only because of the amazing work that it does but because I was diagnosed with breast cancer in July 2007. Following surgery, radiotherapy and ongoing medication I am hoping I have beaten this very frightening illness. I was born and brought up in Caithness living first in Murkle and latterly near Glengolly, I left in 1985 to train as a nurse, before leaving I worked at Dunbar Hospital in Thurso. I now live in Elgin with my husband and 2 boys. I return to Caithness on a regular basis to visit my parents my brother and his family. My sponsorship page is on the Race for Life web site. Kate Barnet was born in Thurso and her parents still live in Dunnet. Kate hopes to be doing the 5K Run For Life In Aberdeen for Cancer Research UK. 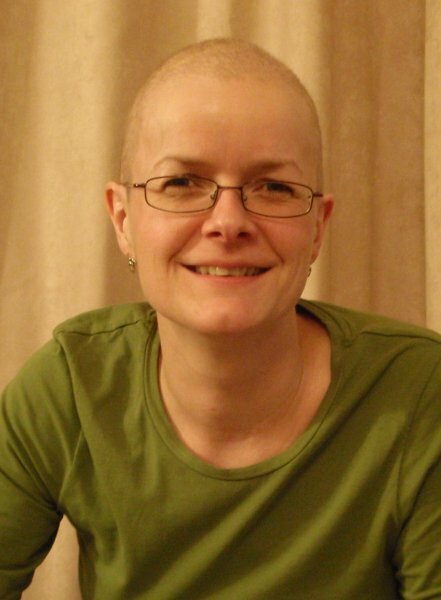 Kate was diagnosed with Breast Cancer back in November 2008, and has been under going treatment ever since, and is now onto Chemotherapy to be followed by Radiation. I am a staff nurse at the Caithness general hospital and have in the past raised funds for children's charities by going on a trek to the Great Wall of China. Last year, as my father suffers from MS and both parents very involved with the local group, I undertook a trek to the Grand Canyon to raise funds for something closer to my heart and home and raised £4,000 for the local branch of Multiple Sclerosis Society Scotland. Next trek I am undertaking a "climb" of Mount Etna for which all proceeds like last, will go to the local branch of Multiple Sclerosis Society Scotland, and the Caithness branch can verify that there is an agreement that ALL monies raised do indeed go to the Caithness branch. Indeed as it is raised it is being sent to them. Our team has people who work in Dounreay, BT, Halkirk Garage and W D Ross Painters. We are called E-Dou'BT-Fool Pirates We are dressing up as pirates on the night and for our fundraising we have a Treasure Island Map with hidden prizes in the squares, Lucky Dip, Guess the Teddy Bear Birthday and an Anagram Sheet. We also have hand made cards for sale. The Cancer Research UK Relay For Life is an overnight team event in support of those living with cancer and in memory of those who we've lost through it. The event is to be held in Caithness for the first time this year. It will take place at Sir George's Park (The Dammies) in Thurso on 30/31 August 2008 and will last for 12 hours (6pm - 6am). Teams of 8-15 people take turns around a track, with a minimum of one person per team on the track at all times. You can walk, run, crawl, hop, skip or jump your way around. It is not a race, it's not about distance, and it’s about supporting those for whom cancer does not sleep. To promote the Caithness Relay for Life, launch nights are going to held, these nights are going to be themed on Health, Beauty and Relaxation, with a number of local therapists and beauticians who are going to be there offering advice for both men and women. The nights are also a great opportunity for you to come along to find out more information about Relay For Life and if you are entering a team you can register your team and pick up your team pack, or if you are thinking about entering a team you can come along and find out more information. There will be a silver collection at the door and a raffle. Enjoy a complimentary drink and nibbles and meet others who are taking part in the Relay. Together we can beat cancer. I have decided to run in the Race For Life again this year in Inverness on the 11th May. Like lots of families everywhere we have been affected by the loss of loved ones to Cancer. This time it was my mother in law Chris Mackay (Foggo). Chris had been fighting Cancer for a few years and done so well, but in January this year she lost that fight. Please help me raise some monies to help beat this terrible disease. If you are already sponsoring someone that's great and I thank you for taking the time to read my email. 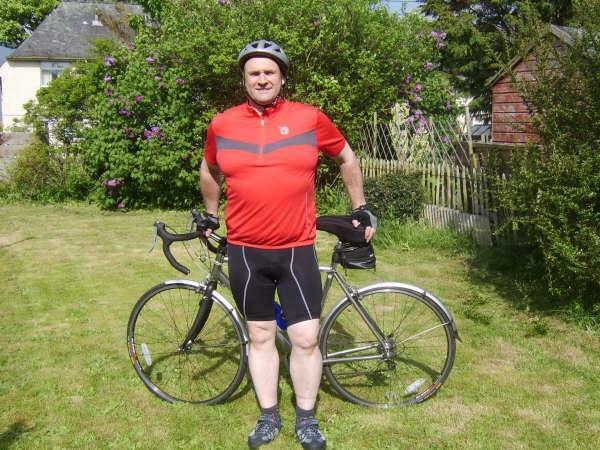 Caithness and Sutherland Diabetes Team are doing a sponsored triathlons in Wick swimming pool and gym on 28/3/08 to raise money for the Caithness Diabetes Endowment fund. Anyone wishing to donate money please contact Pamela Campbell 01847 893442 Thurso Community Health Centre. I am from Halkirk - big brother Hugh John Mackay is the local shopkeeper and butcher and he is promoting my walk locally. I am raising funds for Diabetes UK for two reasons, one; my daughter has to take 4 injections a day - she is 22 and two; in memory of Bunty Mitchell - a great woman who was a stalwart within the Halkirk Community." ESTRELLA will be taking part in the "UCAN PANTS WALK" to help raise funds for a much need research centre for urological cancer. We will walk at least 10 to 15 laps of Duthie Park in Aberdeen as well as providing some music during the afternoon. After completing and drying out. Driving between locations 11 hours - Total Target Time = 24 hours. Driving between locations 13 hours 40 min – Total Achieved Time = 22 hours 35min. Weather conditions – Heavy rainy periods throughout, and continuous heavy rain on Mt. Snowdon. As meningitis lies particularly close to home, Eric and Irene Macaulay and their family Stephen, Ross and Suzanne of March Road Wick have organised a fund raising event in support of the Meningitis Research Foundation. 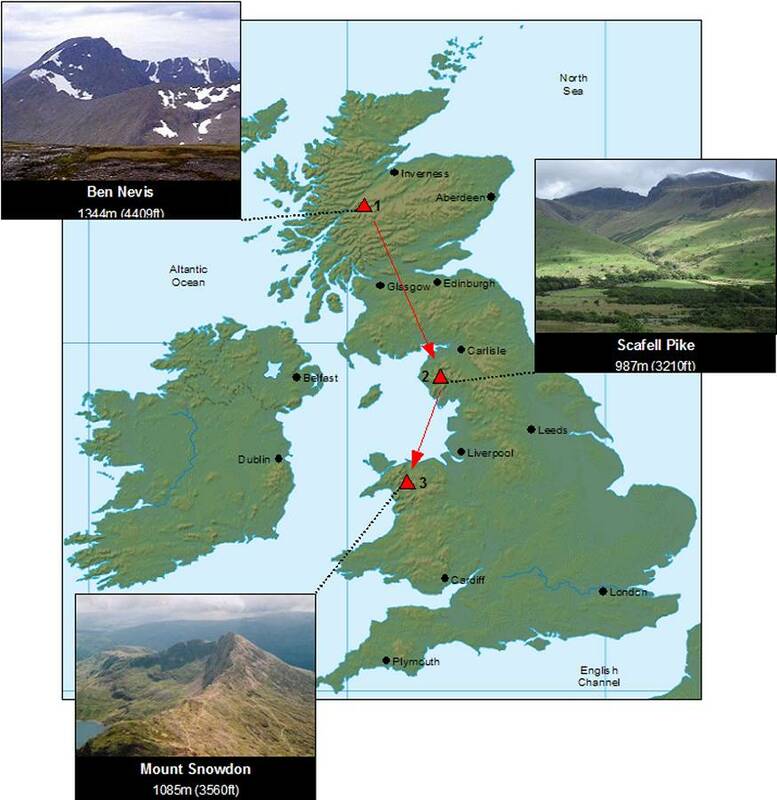 Ross and four of his colleagues will attempt to run the 3 Peaks (ie Ben Nevis, highest in Scotland, Mt. 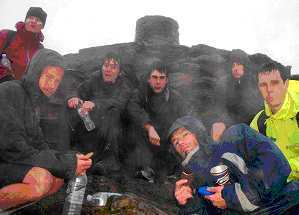 Snowdon, highest in Wales and Scafell Pike, highest in England) and to complete all three within a 24 hour period. This is not part of a bigger organised event. All five of them have arranged leave for this, and will converge on Scotland from their present work locations in various parts of the world to do it (America, Brazil, New Zealand, France and England). They have one 24 hour period in which to do it, 11th/12thh August 2007 and will therefore persevere regardless of the weather conditions. Your individual contributions will be greatly appreciated. 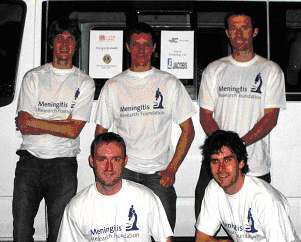 All funds to go to the Meningitis Research Foundation. You can make a donation online at www.justgiving.com/rorymac Donating here also means your donation will be increased if you are a taxpayer by 28% that can be claimed back by the Meningitis Research Foundation. 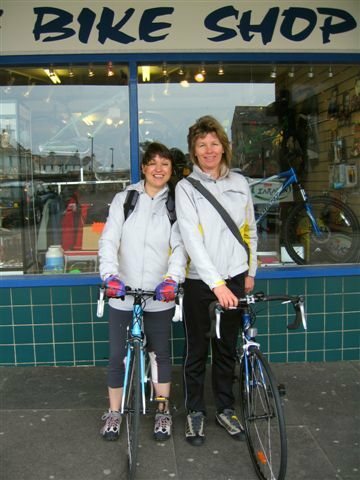 Kirsten Dallas (Kirsten's Mum, Patsy is from Caithness) and Nicola Whyte will be cycling from Land’s End to John O’Groats to raise at least £2000 for BBC Children in Need. Kirsten, whose just 16 years old, attends Thetford Grammar School and has been awarded a share in the school’s Peter Large Travel Scholarship. Kirsten has decided to use the money to help cover the costs of undertaking this big adventure, therefore ensuring that all sponsorship money raised can go to BBC Children in Need. 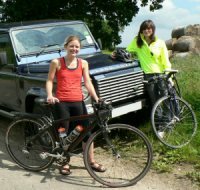 The marathon begins on 23rd July and Kirsten will be cycling with Nicola Whyte, a keen and experienced cyclist who is looking forward to this challenging journey of over 1000 miles. 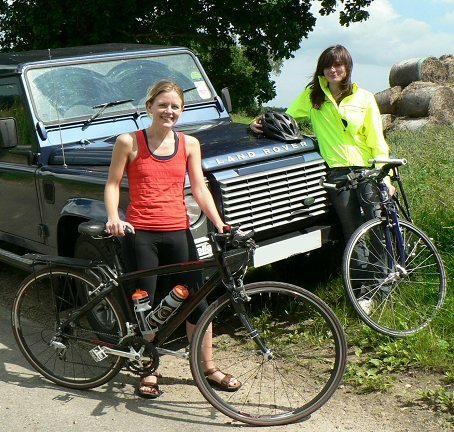 The Daftenders, will be supported by Kirsten’s Mum Patsy in the family’s Land Rover Defender, which will be loaded up with supplies, tents and lots of energy bars! Another participant in the Race for Life fundraiser in Inverness on 13 May. More Folk In the Race For Life - "Reay Runners"
Another Wick Team Joins "Race For Life"
Moira MacDonald has been in touch to say she is part of another team taking part in the "Race For Life" cancer fund raiser. A group of Wick ladies entered for the Race for Life are called "Keep Fit Wifies" from the Wick R.B.L.S. Pipe Band. Any more Caithness teams entering ? Let us know to give you a mention. Caithness Ladies Run In "Race For Life"
Walk, jog or run 5km in the UK's largest women-only event and raise money for Cancer Research UK. Help raise funds for the Longberry Services in Wick run by Alzheimers Scotland by walking approx 10k round the boundary of Wick. For sponsor forms call 01955 609193. So why not get fit and to help dementia sufferers and their carers. I have contacted you before regarding Herring Queens. My mother, Retta Shearer was the first. I was born and brought up in Wick (Barbara Place). I now stay in Polmont near Falkirk. The purpose of my Email is to ask whether my son, Alan, could be mentioned on the Caithness.org site. 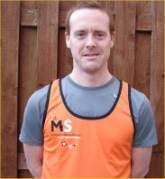 I, myself, have got MS and my son has run 2 London Marathons and 2 Edinburgh half marathons for MS.
Alan has now entered, and been accepted, for the New York Marathon which he will also run in early November in aid of MS. I would be very grateful if you could highlight Alan on your site as being son of Billy Mackay (myself) and grandson of the late David Mackay and Retta Shearer. I am sure there are a lot of folk who still remember the family and I would be a very proud person if his name and Web address were to be included in this site. "My name is Kate Mowat and I live and work locally in John O' Groats. I am training to run the Edinburgh Marathon on the 27th May 2007, for Breast Cancer Care Scotland and Macmillan Cancer Support, Wick Committee. I have a website set up telling a little bit about myself and the charities I hope to raise a lot of money for along with a few quite bad pictures, haha!" Our group Breast Friends (Kirsty Adamson, Julie Young & Amanda Howden) are taking part in the Edinburgh Moonwalk this year on June 16, walking 26.2 miles in decorated bras at midnight in aid of Breast Cancer research. If anyone would like to sponsor us they can do so at the following website.